Himachal Road Transport Corporation is going to recruit fresher candidates in India for Transport Multi Purpose Assistants Posts. So, those candidates who are willing to work with this organization they May apply for this post. Last Date of Apply 28-August-2017. Total numbers of vacancies are 1000 Posts. Only those candidates are eligible who have passed Matriculation from any recognized board and candidate should possess valid Conductor’s license. Indian citizen having age in between 18 to 45 years can apply for this Himachal Road Transport Corporation Recruitment 2017. 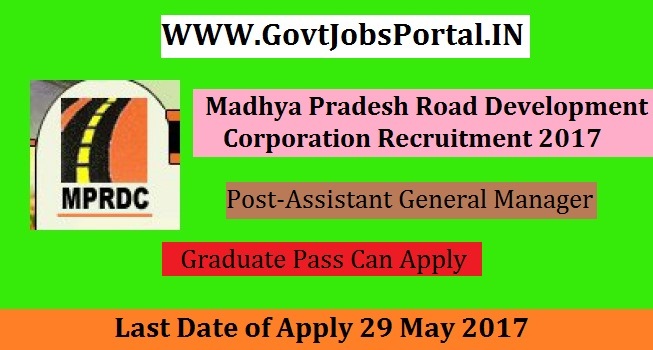 Those who are interested in these Himachal Road Transport Corporation jobs in India and meet with the whole eligibility criteria related to these Himachal Road Transport Corporation job below in the same post. Read the whole article carefully before applying. Educational Criteria: Only those candidates are eligible who have passed Matriculation from any recognized board and candidate should possess valid Conductor’s license. What is the Process for Selection this HRTC job? What is the Application Fee for these HRTC Jobs in India? 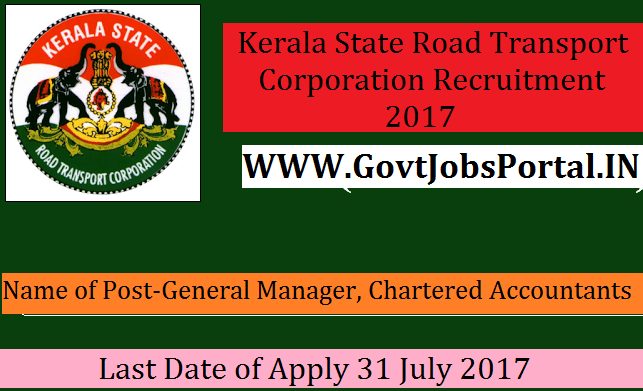 Kerala State Road Transport Corporation is going to recruit fresher candidates in India for General Manager, Chartered Accountants Posts. So, those candidates who are willing to work with this organization they May apply for this post. Last Date of Apply 31-July-2017. Total numbers of vacancies are 11 Posts. Only those candidates are eligible who have passed MBA (Finance) or B.Tech with MBA from IIM or a Nationally reputed institution & Member of the Institute of Chartered Accountants of India or the Institute of Cost Accountants of India. 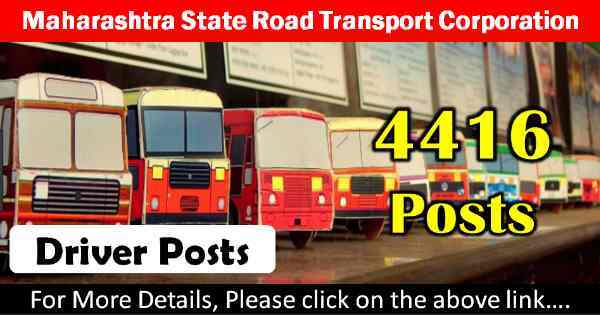 Indian citizen having age in between 20 to 50 years can apply for this Kerala State Road Transport Corporation Recruitment 2017. 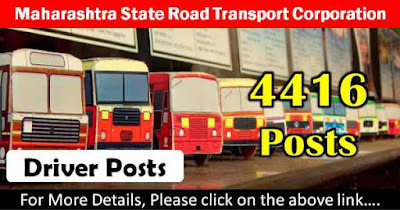 Those who are interested in these Kerala State Road Transport Corporation jobs in India and meet with the whole eligibility criteria related to these Kerala State Road Transport Corporation job below in the same post. Read the whole article carefully before applying. Educational Criteria: Only those candidates are eligible who have passed MBA (Finance) or B.Tech with MBA from IIM or a Nationally reputed institution & Member of the Institute of Chartered Accountants of India or the Institute of Cost Accountants of India. Age Criteria: Candidates age limit should to be possess minimum age 20 years & maximum age 50 years. What is the Process for Selection this RTC job? Himachal Road Transport Corporation is going to recruit fresher candidates in India for Driver Posts. So, those candidates who are willing to work with this organization they May apply for this post. Last Date of Apply 27-May-2017. Total numbers of vacancies are 574 Posts. Only those candidates are eligible who have passed 10th examination pass from recognized board of Himachal Pradesh with driving licence of Heavy vehicle. Indian citizen having age in between 18 to 45 years can apply for this Himachal Road Transport Corporation Recruitment 2017. Educational Criteria: Only those candidates are eligible who have passed 10th examination pass from recognized board of Himachal Pradesh with driving licence of Heavy vehicle. What is the Process for Selection this Transport job? What is the Application Fee for these Transport Jobs in India? The Process for applying these 10 Pass jobs in India is to apply offline. There is no other way to apply these Government jobs. Below we also share the direct official link to apply. We advise all interested candidates to click on that link for online application form. Karnataka State Road Transport Corporation is going to recruit fresher candidates in India for Project Engineer Posts. So, those candidates who are willing to work with this organization they May apply for this post. Last Date of Apply 17-May-2017. Total numbers of vacancies are Not Mention. Only those candidates are eligible who have passed B.Tech. in Civil Engineering degree. Indian citizen having age in between 21 to 50 years can apply for this Karnataka State Road Transport Corporation Recruitment 2017. 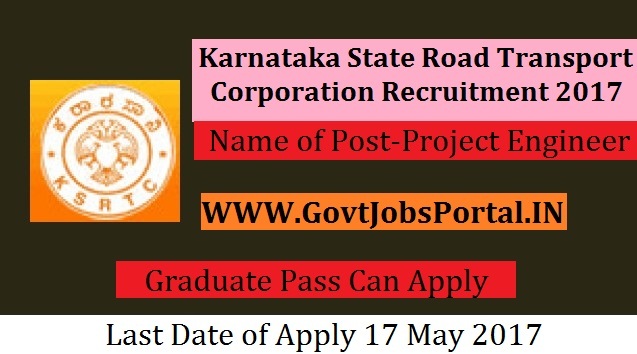 Those who are interested in these Karnataka State Road Transport Corporation jobs in India and meet with the whole eligibility criteria related to these Karnataka State Road Transport Corporation job below in the same post. Read the whole article carefully before applying. Educational Criteria: Only those candidates are eligible who have passed B.Tech. in Civil Engineering degree. Age Criteria: Candidates age limit should to be possess minimum age 21 years & maximum age 50 years. Uttarakhand Transport Corporation is going to recruit fresher candidates in India for Driver Posts. So, those candidates who are willing to work with this organization they May apply for this post. Last Date of Apply 11-May-2017. Total numbers of vacancies are 286 Posts. Only those candidates are eligible who have passed 8th class and driving licences in HMV. 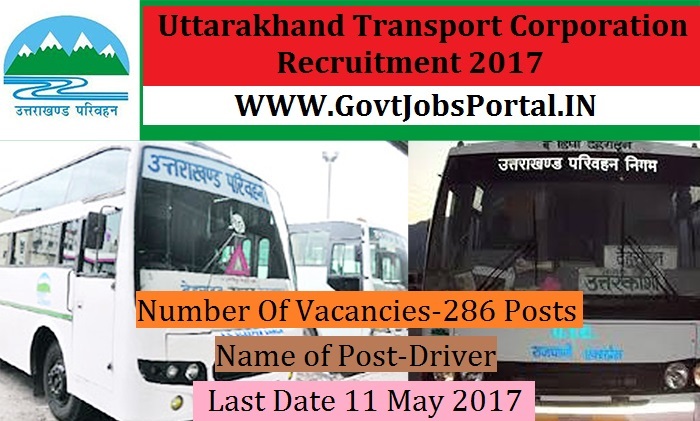 Indian citizen having age in between 18 to 42 years can apply for this Uttarakhand Transport Corporation Recruitment 2017. Those who are interested in these Uttarakhand Transport Corporation jobs in India and meet with the whole eligibility criteria related to these Uttarakhand Transport Corporation job below in the same post. Read the whole article carefully before applying. Educational Criteria: Only those candidates are eligible who have passed 8th class and driving licences in HMV. 1: Selection will be held on Driving Test. The Process for applying these 8Pass jobs in India is to apply online. There is no other way to apply these Government jobs. Below we also share the direct official link to apply. We advise all interested candidates to click on that link for online application form. Department of State Transport Haryana is going to recruit fresher candidates in India for Helper & Storeman Posts. So, those candidates who are willing to work with this organization they May apply for this post. Last Date of Apply 30-April-2017. Total numbers of vacancies are 869 Posts. Only those candidates are eligible who have passed an ITI Certificate course in the respective trade and Two year NCVT/SCVT/NAC Certificate in Mechanical Motor Vehicle/COE Automobile Sector under Craftsman Training Scheme/Apprenticeship Training Scheme or One year NCVT/SCVT/NAC Certificate in Repair & Maintenance of Heavy Motor Vehicle/Diesel Mechanical Trade under Craftsman Training Scheme/Apprenticeship Training Scheme, with one year experience in relevant field. 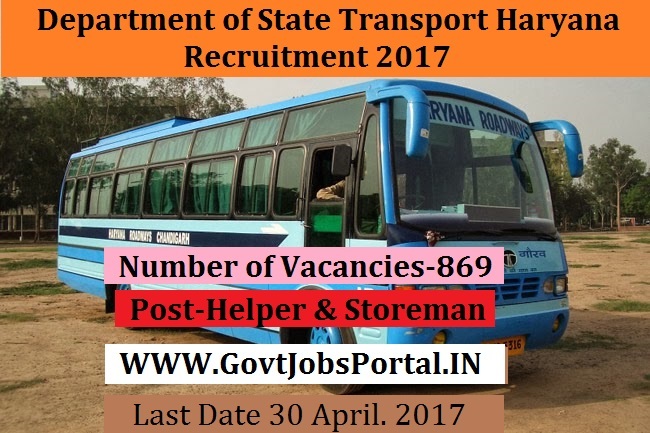 Indian citizen having age in between 18 to 42 years can apply for this Department of State Transport Haryana Recruitment 2017. Those who are interested in these Department of State Transport Haryana jobs in India and meet with the whole eligibility criteria related to these Department of State Transport Haryana job below in the same post. Read the whole article carefully before applying. Educational Criteria: Only those candidates are eligible who have passed an ITI Certificate course in the respective trade and Two year NCVT/SCVT/NAC Certificate in Mechanical Motor Vehicle/COE Automobile Sector under Craftsman Training Scheme/Apprenticeship Training Scheme or One year NCVT/SCVT/NAC Certificate in Repair & Maintenance of Heavy Motor Vehicle/Diesel Mechanical Trade under Craftsman Training Scheme/Apprenticeship Training Scheme, with one year experience in relevant field. Applicants who meet with all eligibility criteria related to these ITI Pass jobs will be selected on the basis of their performance in various round of selection. The various rounds of selections are as follow: Selection process will include criteria of merit, selection of 12 times of applicants in each trade for practical trade test and final selection list. The Process for applying these ITI Pass jobs in India is to apply offline. There is no other way to apply these Government jobs. Below we also share the direct official link to apply. We advise all interested candidates to click on that link for online application form.